Born in SCIACCA TERME "CASA VACANZE 4 PILERI". 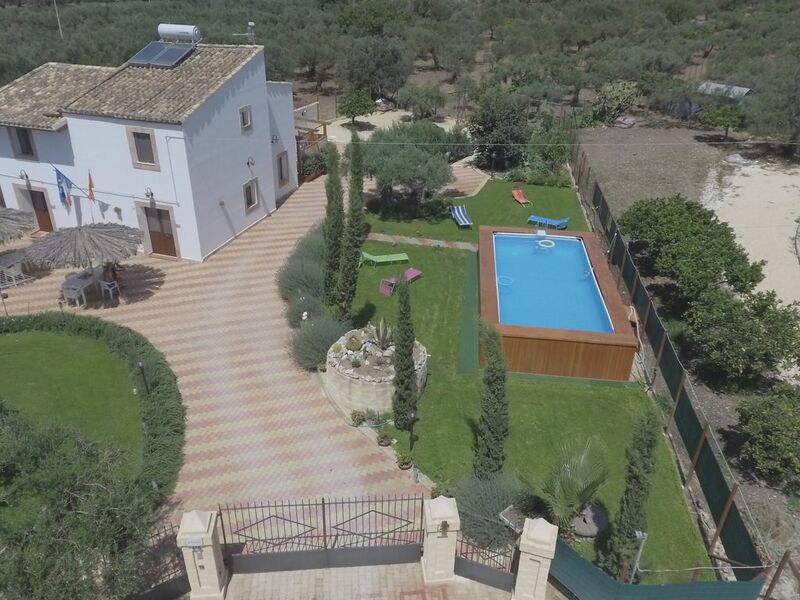 The accommodation is located just 5 MINUTES from the city and the sea, in Contrada Piana Scunchipani (on the SS 115 South Western Sicula and near the SS 624 Palermo-Sciacca) inside the Regia Trazzera called "4 Pileri", in the past entrance of the majestic "Villa Venuti" completed in 1792 and still existing. Surrounded by the typical vegetation of the place, lies on a beautiful plain with green lawn and on an organic orchard where there are austere and majestic olive trees that, with their suggestive and harmonious shape, seem to be the natural guardians of so much wonder. It is a place where peace and tranquility reign supreme, far from the chaos and noise of the city, ideal for families, for couples and, above all, for groups who wish to spend a holiday in contact with nature and at the same time have the opportunity to reach seaside destinations or high cultural value. Everything is taken care of in every detail and equipped with the necessary comforts for a relaxing and healthy vacation. garden (with lawn and organic vegetable garden for guests), fenced parking, swimming pool, barbecue, deckchairs, sofas, flat-screen TV, wi-fi, air conditioning with heat pumps, mosquito nets, microwave oven, coffee machine, washing machine , hairdryer, equipped kitchen, fridge, crockery, bathroom with shower. you will receive information about our offers and promotions!